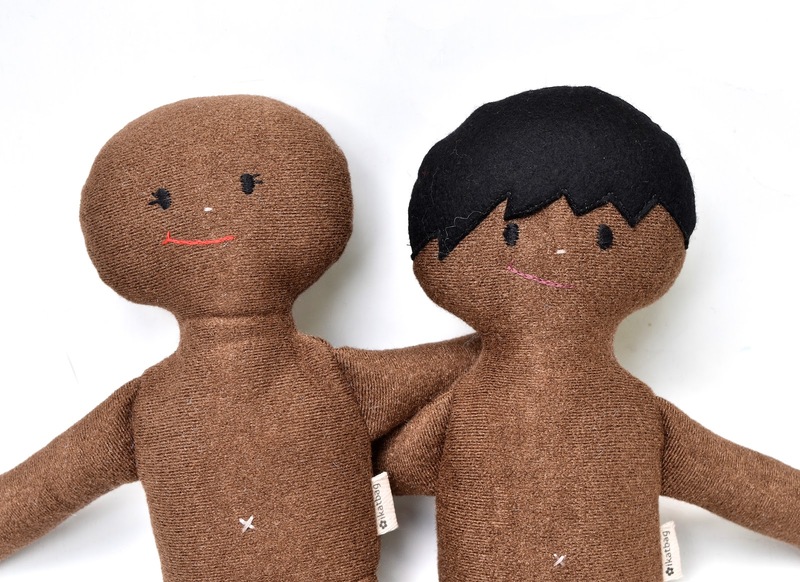 In case you missed the announcement, the Owie Doll Kits are back in stock at Take&Make. 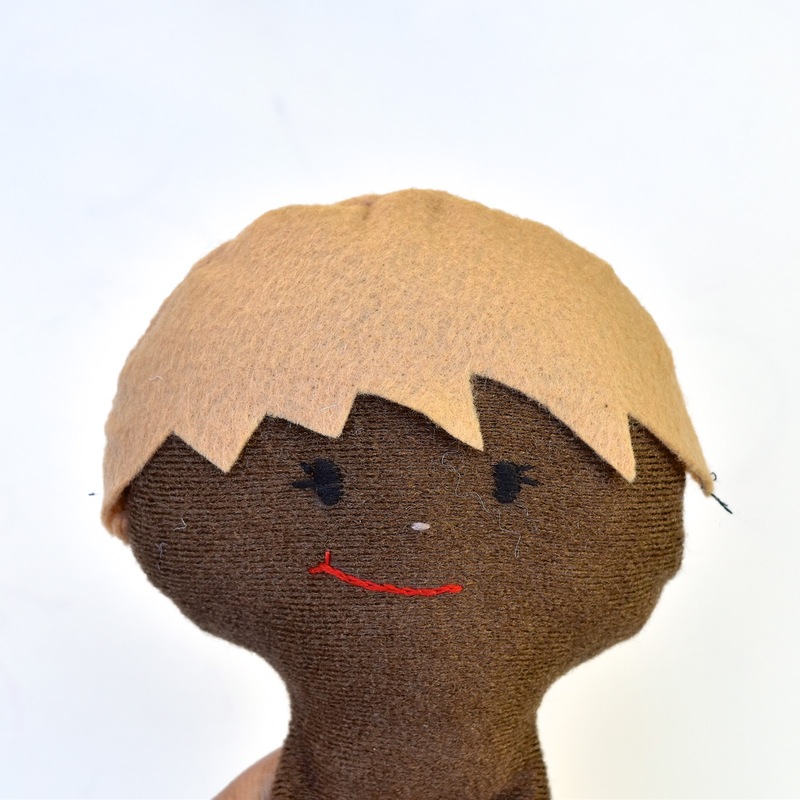 These kits can be personalized in different skin tones and hair colors. 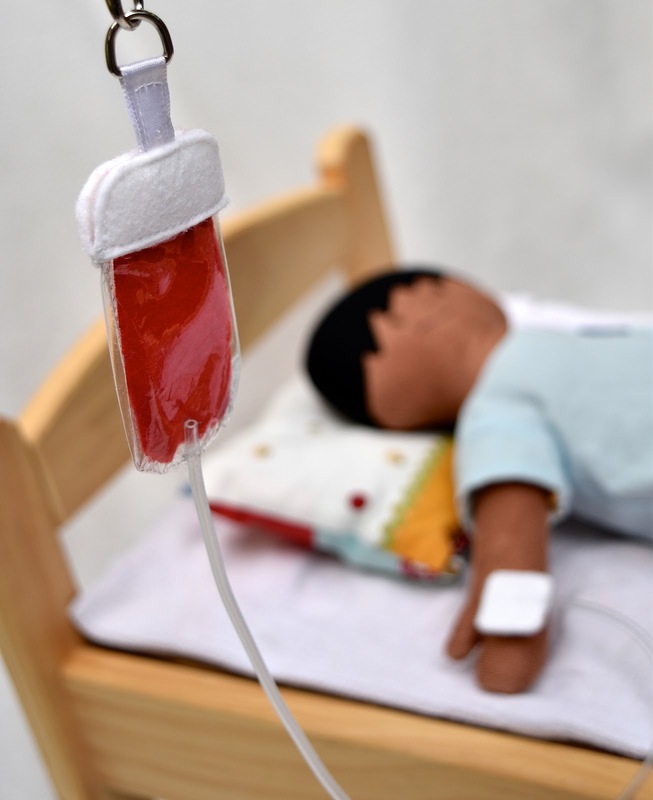 One of the dolls has no hair, because sometimes that's what happens to kids in the hospital as a result of procedures they undergo in order to get well. I wanted to show you that you can make the doll hair removable if you need it to be - this is the doll with her hair off (left) and on (right). 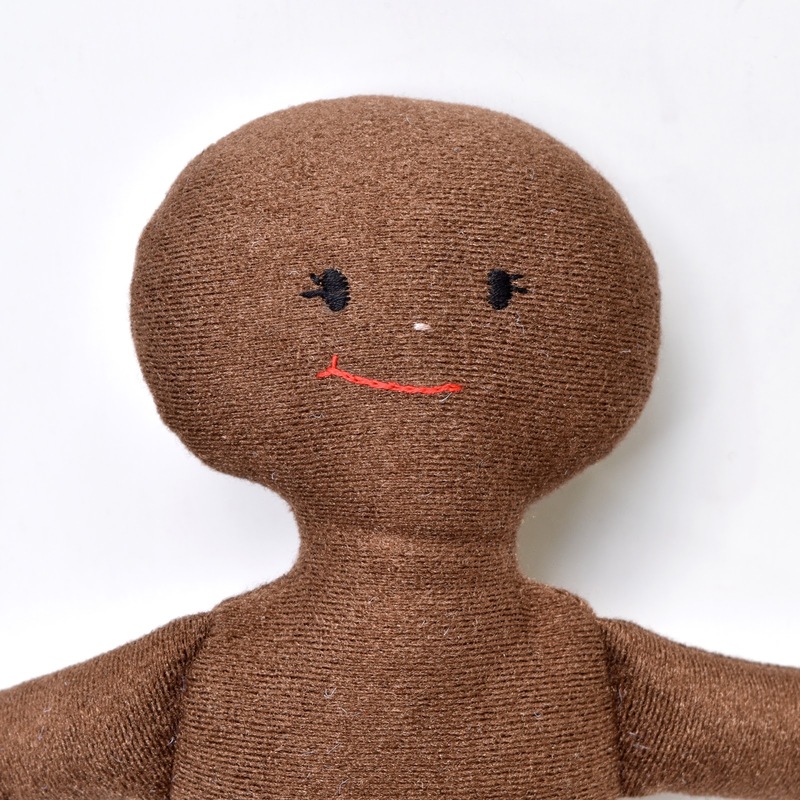 In the construction sequence for the doll, you literally omit the step in which the hair is topstitched onto the head and complete assembling the doll hairless. Sew the back and front hair pieces with their RS together, inserting ponytails/braids either into the seam or attaching them after. I'm using different colors for visibility, but you should use the same color for all the parts of the hairpiece (unless you want particularly funky hair). Turn the hairpiece RS out and edgestitch around the free edge. This is optional, but it does give some strength to their raw edge and prevents it from stretching with extended use. 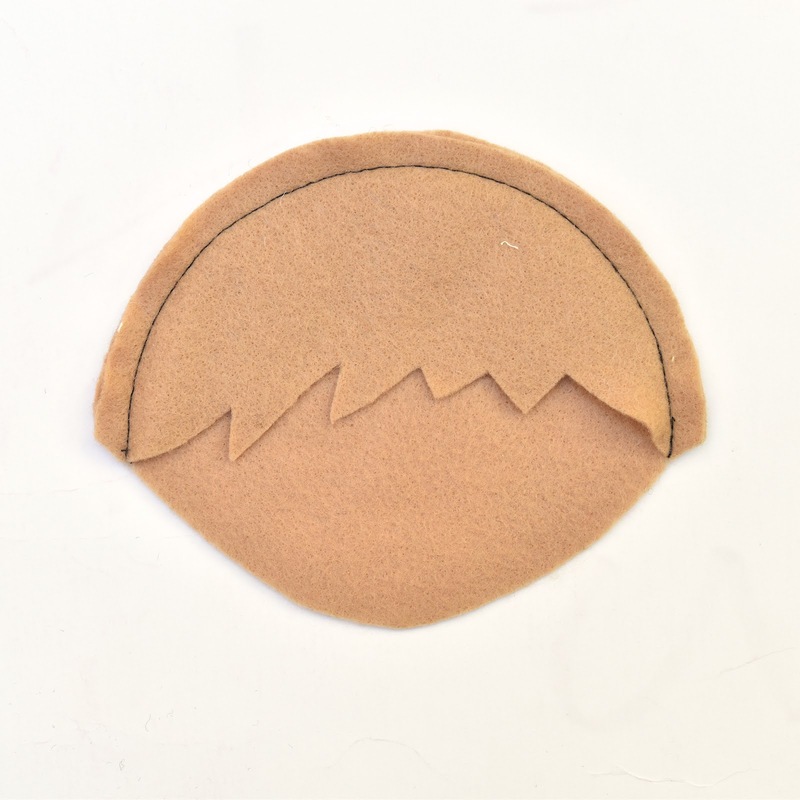 You can also edgestitch each individual piece (front and back) before joining them together into the completed hairpiece. Finished hairpieces! 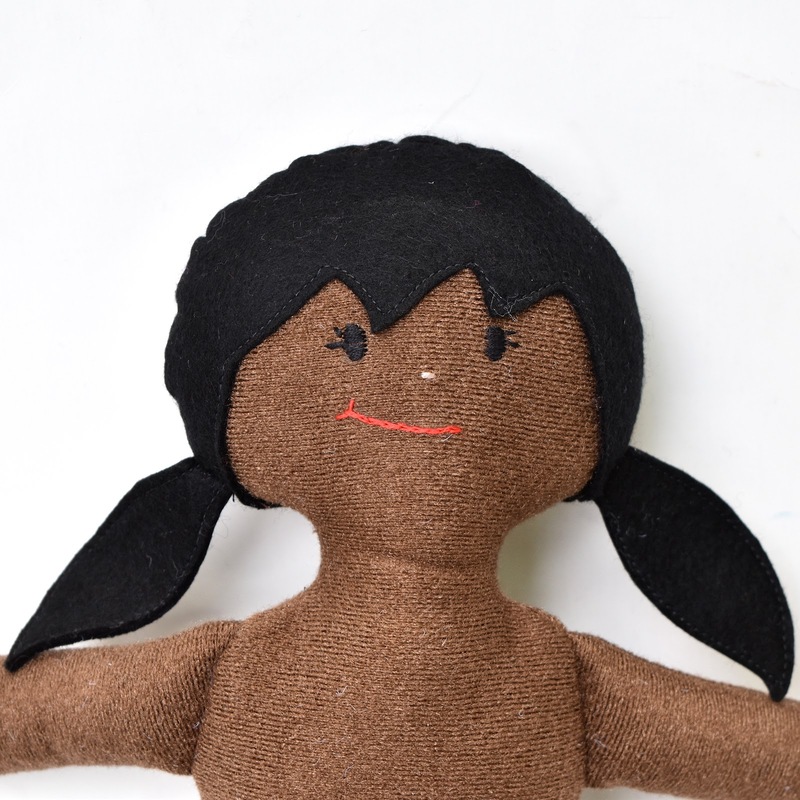 The felt of the hair naturally keeps in contact with the surface of the doll skin, sort of like a felt board. However, note the girl's hairpiece hugs securely like a wig, but the boy's shorter one fits more loosely. You may, if desired, sew a tiny piece of hook velcro to the SA (making it invisible on the RS) on the WS, so that it really adheres to the head. 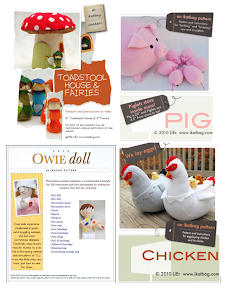 If, however, you'd rather buy than sew Owie Dolls, these seven are going into the shop soon! Eeeeek! I can't wait to share it with you tomorrow! So, yes, I will get these seven dolls dressed and accessorized and in the shop in time for the holidays, so look out for them! 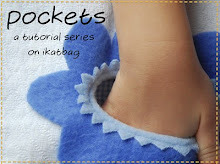 I'll also post shop updates here on ikatbag so you'll know when to pop in to buy them. 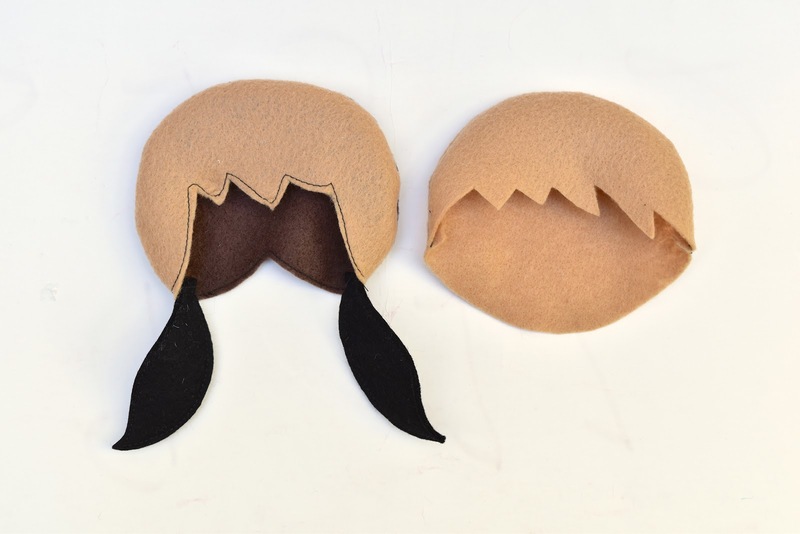 I think it's a brilliant idea to have the removable hair piece like that, because unfortunately, kids do have to lose their hair sometimes to get better. 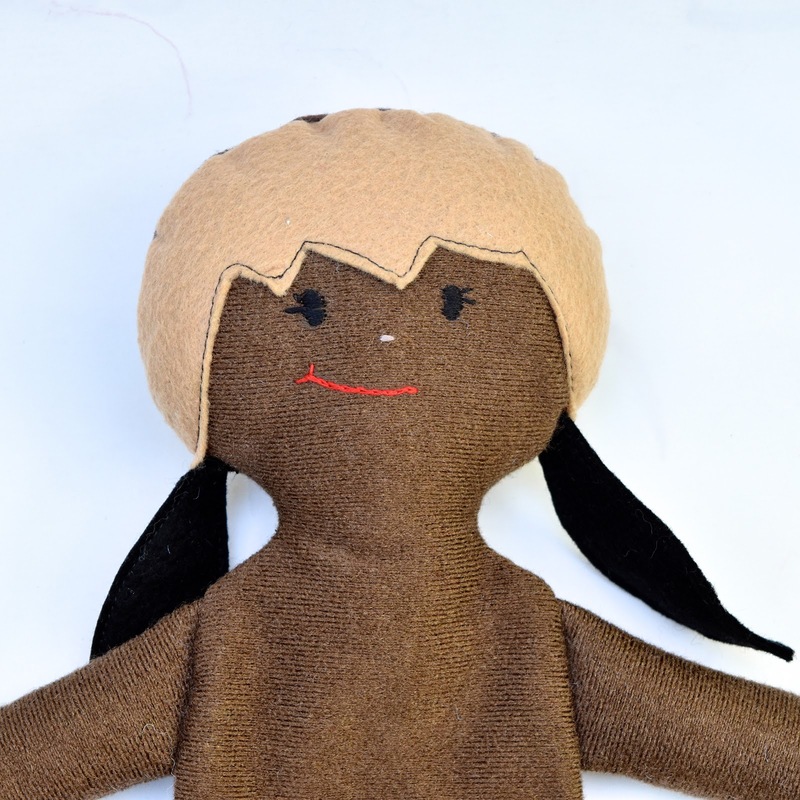 Having a doll that would lose his/her hair seems like it could be something special for that sick child to relate to. As a short haired mother of a short haired teenboy, we spend some time and product to get our hair to do that 'sticking out' thing. "It's not a bug, it's a feature!" I had purchased the original Owie pattern, but am willing to buy the update if it comes with the IV bag instructions. What wonderful additions! I was a bald chemo kid with IVs attached once upon a time. I know I loved hats when I was on chemo. 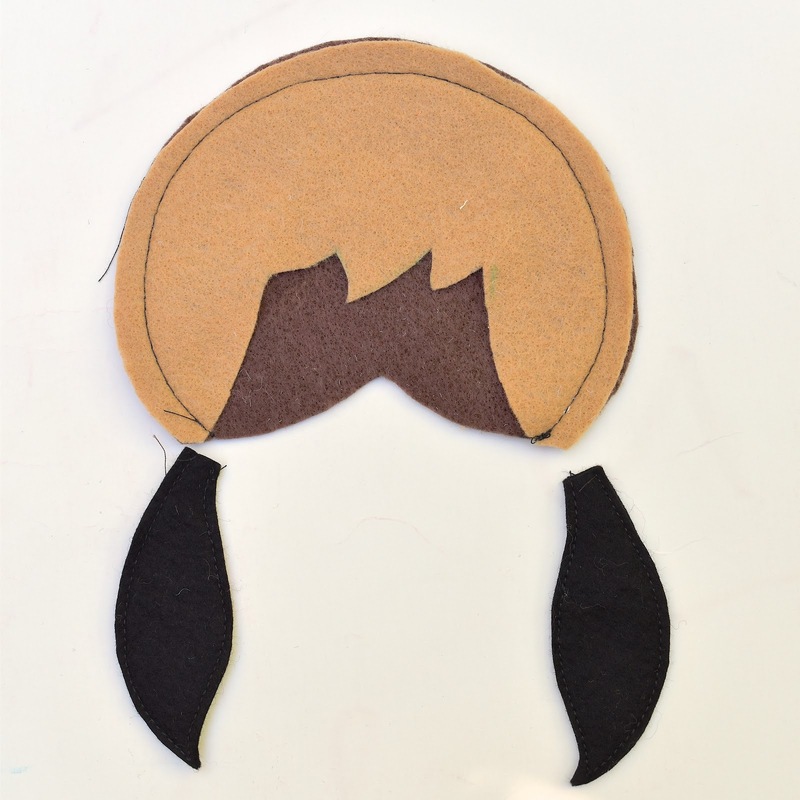 Maybe the hair pattern could be adapted to be a hat pattern? Forgot to make the baseball cap! Argh. I knew there was one thing left that slipped my mind. I thought of it after making the removable hair and then got distracted by laundry or something unglamorous like that. I should go draft that (and maybe a bucket hat) as a reward for finishing the MedHub pattern. A bucket hat and baseball cap would be wonderful!